Search our list of frequently asked questions. Haven't found what you're looking for? Submit a question. How do I cite a numbered footnote? Edward Wallis, the editor, notes that the poet used this technique for the first time in “New Poem” (77n5). The editors of the facsimile edition call the reader’s attention to three instances of this rhetorical device (56 [nn 1, 4, 5]). It would be unusual to cite a note in the list of works cited, and writers are encouraged to build references into the main body of their work whenever possible. Are notes compatible with MLA style? Yes. 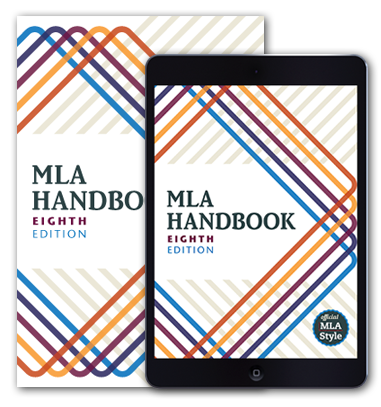 Two kinds of notes are suitable with the parenthetical citations used in MLA style: content notes and bibliographic notes. These may be styled either as footnotes or endnotes. Content notes offer the reader comment, explanation, or information that the text can’t accommodate. In general, they should be used only when you need to justify or clarify what you have written or when further amplification of your point is especially helpful. See Green, especially 1-7, and also Hinnant, for further description and discussion of the courtship novel. Green considers Mansfield Park a courtship novel, including it in a list of such novels in the period 1740-1820 (163–64). Green, Katherine Sobba. The Courtship Novel 1740-1820: A Feminized Genre. UP of Kentucky, 1991. Hinnant, Charles H. “Jane Austen’s ‘Wild Imagination’: Romance and the Courtship Plot in the Six Canonical Novels.” Narrative, vol. 14, no. 3, 2006, pp. 294-310. JSTOR, www.jstor.org/stable/20107392. In MLA style, bibliographic notes are best used only when you need to cite several sources or make evaluative comments on your sources. For strong points of view on different aspects of the issue, see Public Agenda Foundation 1-10 and Sakala 151-88. For a sampling of materials that reflect the range of experiences related to recent technological changes, see Taylor A1; Moulthrop, pars. 39-53; Armstrong et al. 80-82; Craner 308-11; and Fukuyama 42. How do I create an in-text citation for a note or marginalia by an editor or translator in a work listed under the author’s name? Zola’s translator explains that the name of the town Le Voreux “suggests the ‘voracious’ nature of the mine” (533n2). Zola, Émile. Germinal. Translated by Roger Pearson, Penguin Books, 2004. Zola’s translator explains that the name of the town Le Voreux “suggests the ‘voracious’ nature of the mine” (7n). Zola’s translator explains in a note that the name of the town Le Voreux “suggests the ‘voracious’ nature of the mine” (7). Zola’s translator explains that the name of the town Le Voreux “suggests the ‘voracious’ nature of the mine” (Pearson 533n2). Pearson, Roger, translator. Germinal, by Émile Zola, Penguin Books, 2004. How do I format an appendix and style its heads? There are many possible ways to format an appendix. A rule of thumb is to let the content guide the choice of format. Types of appendix content include the following: prose explanations that supplement the main text, numbered and unnumbered lists, bibliographies and suggestions for further reading, samples of questionnaires and surveys, and charts and tables. An appendix that consists mainly of prose requires no special formatting. Use paragraphs, as in your main text, and consider adding titled subheads if the appendix is long. The language in the C text of William Langland’s Piers Plowman can be strikingly different from present-day English and even from Chaucer’s English. The manuscript on which Pearsall’s annotated edition, Piers Plowman: A New Annotated Edition of the C-Text, is written in a South West Midlands dialect, which frequently varies from Chaucer’s London dialect. This introduction provides students with the basic knowledge necessary to smoothly read Pearsall’s edition. Since difficult lines in the poem are explained in its footnotes and annotations, this guide provides only a rudimentary working knowledge of the most pressing grammatical and lexical issues. No specific linguistic knowledge is assumed. Reading Langland’s text aloud is the key to comprehending it. The letters i, e, a, o, u are usually pronounced closer to the Spanish or French pronunciations. Normally, i sounds like the vowel in American English beat, e like that in bait, a like in bot, o like in boat, and u like in boot. All consonants are pronounced, even when clustered together like in knowe (pronounced kuh-no). Sometimes gg is pronounced like the y in year, for example, in Middle English segge (“say”). The letter y sometimes interchanges with the letter i, for example, mornyng (“morning”). The letters v and u can interchange, for example vp (“up”) and haue (“have”). Plural nouns normally end in -es, as in thynges (“things”). Possessive nouns also end in -es, as in goddes loue (“God’s love”). Sometimes, but not always, adjectives have an –e on the end, as in gode seyntes (“good saints”), especially if the noun is plural. For an appendix that consists of a list of items, decide if the items should be numbered or not. (Hint: Are the numbers meaningful to the content? If not, consider omitting numbers.) If the list is unnumbered, ensure that each item is clearly distinct from the others. For items with multiple components, style each component consistently. For example, in the following annotated list of Web resources, the annotation appears indented on a line below the site name and URL. The journal of the history of medicine published by Spain’s National Research Council offers free access to all of their issues. The Web site of the University of Valencia’s History of Medicine Collection offers well-curated links to exhibitions, including online images, texts, and clinical studies. The Royal Academy’s Diccionario de la lengua española is the essential starting point for exploring general vocabulary. It contains links to historical dictionaries as well. This online medical dictionary is a valuable resource for technical words and historical usages. An appendix that takes the form of a list of sources or recommended readings can be formatted much like a works-cited list: alphabetize the items, follow a consistent format for the entries, and use a hanging indentation. Bercot, Martine, et al., editors. Anthologie de la poésie française: XVIIIe, XIXe, XXe siècles. Vol. 2, Gallimard/Pléiade, 2000. Boucher, Gwenaëlle, editor. Poètes créoles du XVIIIe siècle: Parny, Bertin, Léonard. Vol. 1, L’Harmattan, 2009. Parny, Évariste. Œuvres complètes. Edited by Gwenaëlle Boucher, L’Harmattan, 2010. 4 vols. ———. Œuvres complètes d’Évariste de Parny. Edited by Pierre-Jean de Béranger, 1831. ———. Œuvres inédites d’Evariste Parny precédées d’une notice sur sa vie et ses ouvrages par P. F. Tissot. A. Dupont, 1827. ———. La guerre des dieux. Edited by J. C. Lemaire, Champion, 2002. Seth, Catriona. Les poètes créoles du XVIIIe siècle: Parny-Bertin-Leonard. Memini, 1998. An appendix may reproduce a questionnaire or survey used by a researcher. It is usually not necessary to reproduce the exact format of the questionnaire. What were your preconceived notions for this study abroad trip prior to arrival? How do those compare with your actual experiences thus far in Honduras? In what ways, if at all, have your thoughts on what it means to be a teacher changed since your time in Honduras? What sort of teaching strategies did you find teachers use in the classroom in Honduras? How do they compare and contrast with the instructional practices you have witnessed in the United States? How have you managed to communicate without knowing much Spanish? How does it feel to be in a country where the majority of the people are Latino and Latina and speak Spanish, not English? What has been your reaction to the poverty you have seen in Honduras? Has your perception of English-language learners changed? What is your perception of bilingual classrooms? Are there any experiences on this trip that you feel have helped prepare you to be a teacher? Sometimes a chart or table is the best way to convey information in an appendix. However, don’t use a chart or table to present information that can be shared in a simpler format, such as a list. Structuring and styling the heads in an appendix follow the same principles as using heads in your main text. Short appendixes may need only a title and no heads, while longer, more complex appendixes may benefit from the structure that heads can provide. The styling and size of heads should be used to signal prominence and subordination of head levels: larger, boldface fonts indicate the most prominent head levels, while a smaller or italic font indicates subordinate head levels. If your work has more than one appendix, label the appendixes numerically or alphabetically. Appendixes may also bear titles, which should be short and descriptive.